Today, there are few dentists who come close to Dr. Gary Nawrocki’s impressive levels of expertise and experience in the dental field. As a Master in the Academy of General Dentistry and a Diplomate of the International Congress of Oral Implantologists, he’s capable of providing a wide spectrum of dental services in one, convenient location. 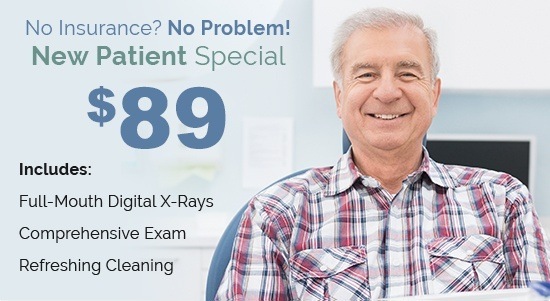 Whether you’re searching for quality preventive care or ready to replace missing teeth, he looks forward to meeting you. Your chosen oral healthcare home should be capable of meeting your needs, not constantly sending you off to other specialists. At Nawrocki Dental, we take pride in being able to provide virtually every specialty of dentistry, allowing our patients to stay with a team they know and trust while saving time and money in the process. We have the training and the modern technology needed to support smiles at every stage of wellbeing! As an in-network provider with Delta Dental Premier, Dr. Nawrocki provides affordable rates for patients utilizing these plans. In addition, we welcome virtually all dental insurance plans. For those without benefits or requiring advanced restorative or cosmetic treatments, we are partnered with CareCredit to offer affordable monthly financing with 0% interest.